Match Grade – The Gun Room Inc.
Today while the boys were showing some handguns to a couple of U.S. Marines that came in Milo went into the back and came forward with a Colt Delta Elite 10mm 1911. I guess this week Milo is liking the Colt Delta Elite because he starts squawking every time someone tries to put it back away. The debate over the 1911 VS any other handgun continues today but so many servicemen and women swear by it that it’ll likely go on forever. Speaking of debates when you start talking about bullets and chamberings everything goes out the window. One caliber that seems to be making more than a blip on the bullet radar is the 10mm. Way up north in Alaska more people are carrying the 10mm as their backup replacing the old reliable 44 Magnum in many cases. The people who jumped on the .40 cal bandwagon have come around and are now snapping up Colt Delta Elites to scratch that power and speed itch. 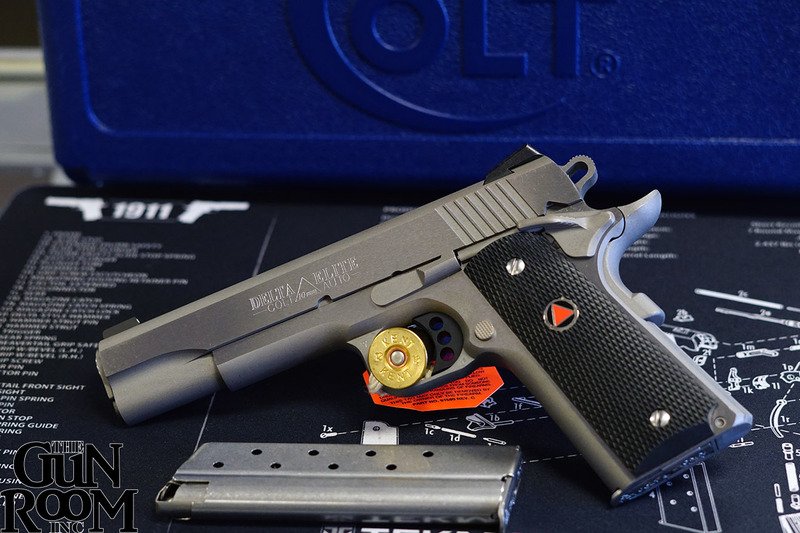 The Colt Delta Elite 10mm 1911 equates to a very well thought out platform for the 10mm cartridge and the power it holds. People who like a handgun that shoots well and don’t want to compromise by switching to a diminutive caliber love the Colt Delta Elite because it checks all the boxes off. The Gun Room Inc. your local resource for everything Colt. People ask me what exactly “pinned and recessed” means when they hear it at the counter. It’s usually someone new to shooting and collecting, but sometimes it’s an old hand that never shot revolvers before. The term pinned and recessed comes from the Smith & Wesson line and refers to build features on older pistols. It was these features a buddy in the early 80’s gave me the heads up on to check them out. That got me interested in seeing them in person as his living was specifically firearms orientated. At the time I was involved with nuclear submarine repair as a machinist and precision was my thing. I understood metals and machining techniques and what was easily done vs difficult. 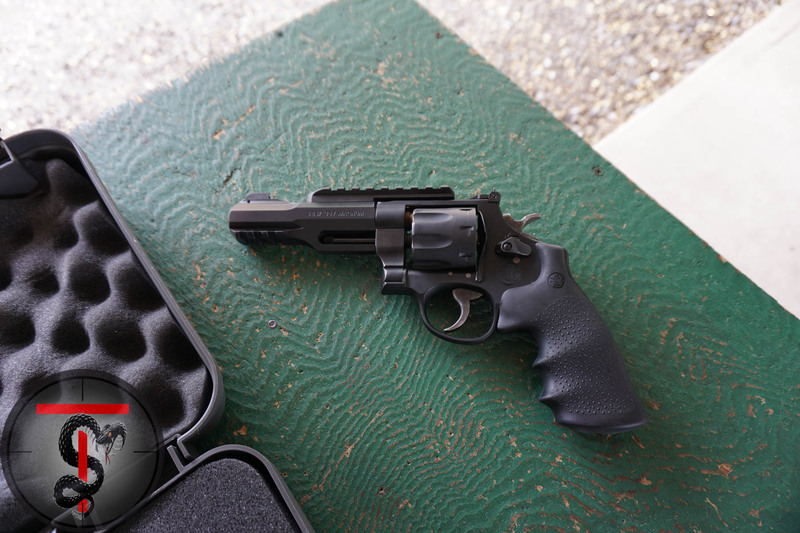 Putting a pre 1982 S&W in your hands for the first time is eye opening. The level of precision is stunning and so much so it seems as if it’s the most natural thing in the world when your hand marries it. As you roll it over you don’t even pick up the fact that there is a “pin” in the top strap. Your first inclination is to naturally push the cylinder release forward and open the cylinder. Think about it, what do you do first? The obvious reason that people gravitate to when answering this question is they want to see if it’s loaded. Considering I just showed it as empty, closed it and handed it over right to their hand there is another reason. Everything is so much more natural with a revolver that it literally takes no experience to know how they function. Upon inspection of the cylinder face the observer will note that the cylinder is counter bored. This counter bore is what is called “recessed” in the vernacular. If you drop in a cartridge the rim fits perfectly into it leaving a flush fit. The machining process of counter boring the cylinder is a premium feature and it adds cost to the pistol manufacturing process which the customer has to bear. The “pin” in the top strap is there to strengthen the barrel to fame joint where they are mated and also represents added cost to the manufacturing. Yes the customer has to bear that cost too. These added costs to the price of the pistol was the reason Smith & Wesson discontinued them as standard features in 1982. The end user simply wanted cheaper guns and about this time the plastic guns started to emerge in the market place. Today cost seems to drive the beginner market, people just want to have a gun but don’t care about quality as in the past. Good enough mentality ensures price remains the driving force in the market segment.The over abundant plastic or “polymer” as they like to call it handgun is by far the most asked for at the counter, however more and more people are seeking out the old gold. Let’s face it plastic guns are like belly buttons, everyone has one, and none are very remarkable. After the buzz of buying wears off the plastic gun owner needs to justify his purchase with tall claims of accuracy, or elevated capacity, or tactical superiority, blah blah blah. When the shooter starts to want something nice they come back and stand at the counter gazing at old revolvers made out of steel. The plastic gun shooter will always balk at price but understands that their belly button gun is not worth anything when they try to sell it. There’s the rub, throwing away money on some instant gratification. The new generation saw a video online and unbeknownst to them they have fallen to marketing disguised as a relevant review. Don’t get me wrong, I’m very technical and like to ride the edge of possibility the same as anyone else but I know a good thing when I see it. Not everyone can afford a pinned and recessed S&W wheel gun, and for those instant no money shooters plastic remains as a cheap option. For the shooter with a bit more money or better saving and spending habits there’s the good stuff. The Gun Room Inc. is no doubt more into the good stuff over plastic fantastic throw away guns and this is precisely the reason I go there. Don’t be surprised when the latest tactical article looses it’s luster and you want something fun, accurate and natural to shoot. Don’t be surprised when you compare a hand fitted and tuned S&W to a new model whatever. They cost as much or often times more. It’s a lot harder to make pistols by hand one at a time then it is to empty molds and drop in stamped parts on volume cheap guns. If your mantra is “As long as it goes bang” you’re not even playing the same sport. If you want to hit the “X” in the center of the bulls eye then have a look at some of the older S&W pistols The Gun Room Inc. has to offer. For people who want the old craftsmanship but new school materials take a look at S&W Performance Center firearms. You’ll pay more but you get the best of both worlds. It’s the giving time of year, Christmas makes it easy to give that someone special the gift of gear. 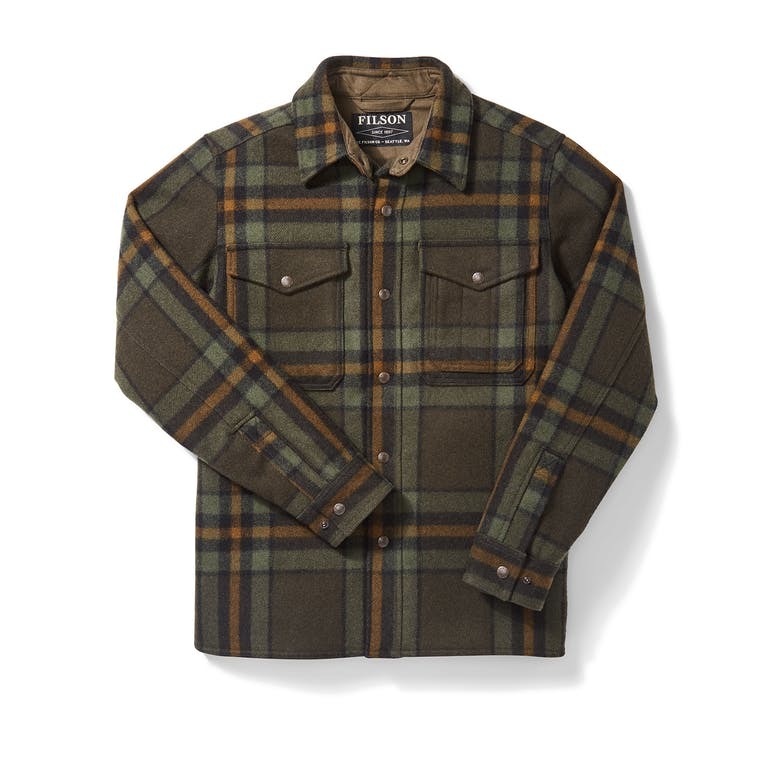 Whether you like to hunt, fish, hike, or just be outside nothing warms the heart like Filson. The Gun Room Inc. has Filson gear in stock in our upstairs archery/clothing showroom for any activity. We even see military divers come in for tin cloth working clothes because they are the only thing that stands up to the rigors of deep sea and salvage diving. You don’t have to be a cowboy to appreciate the best in outdoor clothing! As they say “You might as well have the best!”. 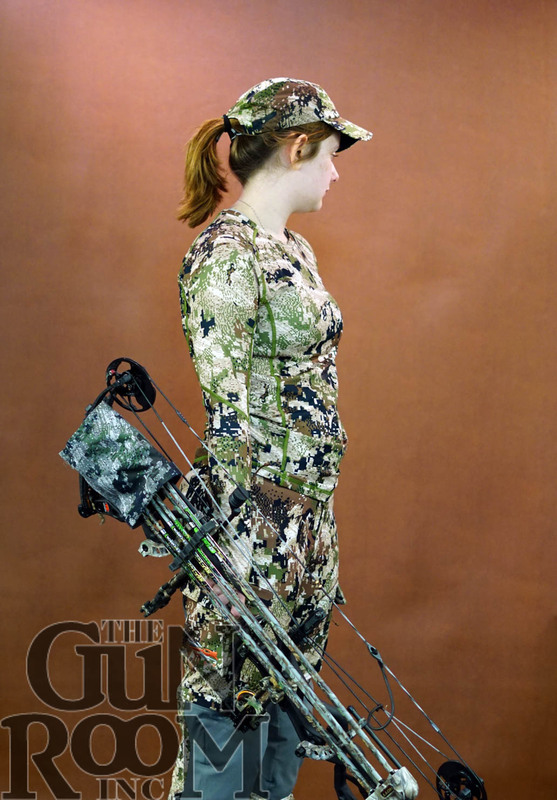 Hunters rejoice in The Gun Room Inc.’s collection of Sitka Gear performance outdoor wear. New and old patterns in layer technology ensure that everyone is comfortable in the worst conditions the field throws at you. Come in and get the Sitka pattern you always wanted. 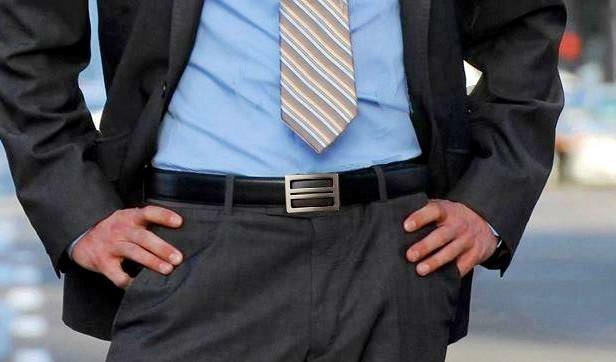 Everyone who carries a concealed firearm has come to realize that their belt is a weak link in their carry system. To address this often overlooked item The Gun Room Inc. stocks KORE Essentials belts. KORE Essentials come in one size to fit all, simply trim to fit and you’re done. Talk about a great stocking stuffer with KORE Essentials you can’t go wrong. The Gun Room Inc. stocks cleaning kits, holsters, slings, gun belts and ammo carriers, and more! Stop in and see the stuff of dreams for your special someone and give them the gift of the outdoors for Christmas. Gun retailers have been noticing a supply shortage of Colt 1911’s chambered in 38 Super recently. Colt’s on hand supply is near zero at this point and it’s causing a drive to snap up the remaining models in local gun stores. Thankfully The Gun Room Inc. has a goodly supply in the 38 Super caliber with all levels of fit and finish but that supply can’t last long. The venerable (and I hate to use the word venerable because it’s become synonymous with gun writing) 38 Super is a caliber that many people don’t know about or simply don’t know any actionable intel on. Delivering more power than a 9mm and better accuracy, it’s simply passed up because of logistical decisions back in the early 1900’s influencing gun mentality today. In simple terms 20th century governments and finally NATO “settled” on 9mm because it was smaller and cheaper as a cartridge to produce and ship. Enter today’s wiz bang firearm marketing teams and suddenly you must have a 9mm despite its lack of performance in the battle space or any stopping power to speak of. 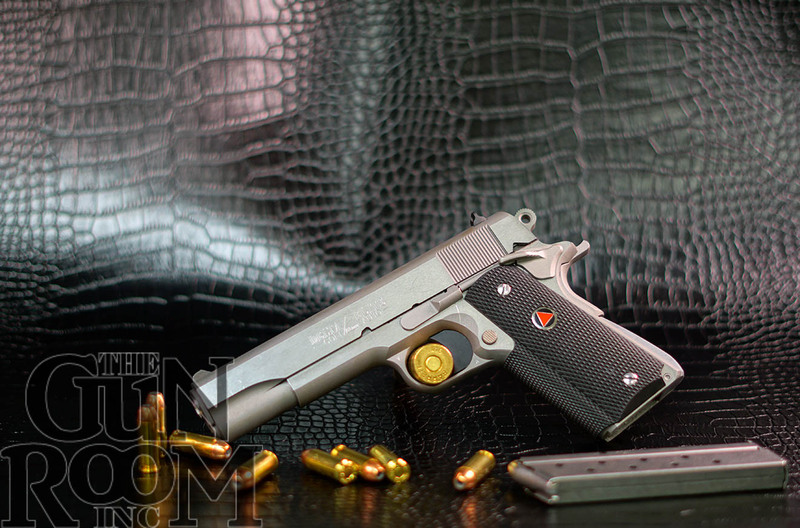 The 38 Super’s history and genesis is one borne of necessity, not cheapness. Gangsters were making headway into our civilized society and the anemic 9mm wasn’t getting the job done. The cops simply needed better more powerful guns. For about 14 years the 38 Super reigned supreme and was the caliber of choice for law enforcement, that is until 1934 when it was eclipsed by the .357 Magnum for power. Colt’s 38 Super 1911 has been in the background ever since only making appearances in America when people rediscover the supremacy it offers over wimpy 9mm loads or in competitive shooting winning prizes. Worth note is once you leave America the 38 Super gains ground significantly over the 9mm or similar round. In Australia the 38 Super reigns supreme as it does in Mexico and the Americas because it’s a gun you can own. A few countries don’t allow citizens to own calibers that the military uses and lucky for them, their militaries use the cheaper less effective 9mm! Yes the smack talking and maligning of the often misunderstood 38 Super gets to be pretty deep with so-called experts pushing you in the direction of the zombie apocalypse caliber or the “Red Dawn” option without any real understanding. Sure get a 9mm, heck get two, but do yourself a favor and go shoot the 38 Super. The most common side effect is that you’re puzzled you haven’t gotten a 38 Super yet. If you are scratching your head and thinking I’m full of it, you’re always going to be able to get a 38 Super you’re probably right. But…, just in case the 38 Super is in short supply, go on down to The Gun Room Inc. and get you one! This hunting season is seeing quite a few nice animals harvested from our Remington Custom Shop Rifles. The months long wait for a Remington Custom Shop Rifle has been paying off big time for the guys who got their bespoke rifles ordered earlier this year. Didn’t get your specs in to get one built? No worries The Gun Room Inc. still has you covered with a few Remington Custom Shop Rifles that we made for stock. Give us a call (503)777-3931 or better yet stop by and see some for yourself. Let’s start off this review by clearly stating I never intended to write a review on the Smith & Wesson R8 Pistol. 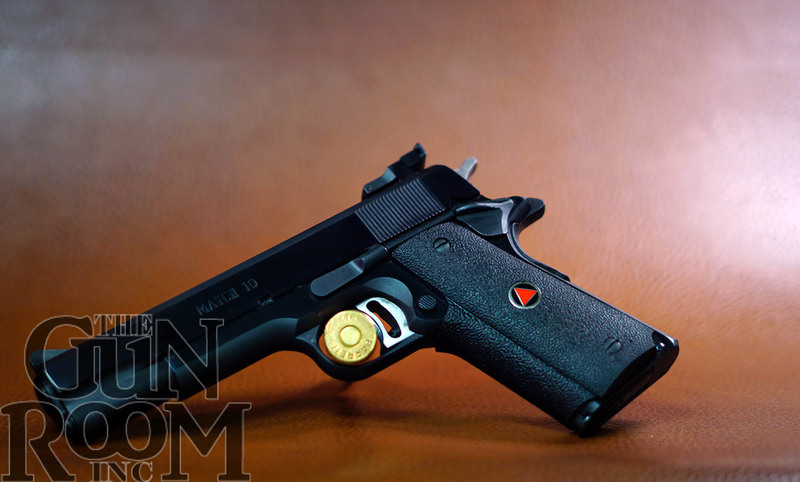 This article was going to be about shooting the 1911 pistol everyone loves around the world. Yes I shot the 1911, and in more than a couple of calibers with Mike Mcdonald from Threat-Solutions in Oregon. The point of the article was to show the tacticool wannabees up with proven tactical and real combat experiance. More on this point later, and you’ll want to stick around for it too. Everything was going great yesterday at Douglas Ridge Range. Rounds were being sent towards paper perpetrators in staccato fashion from the lanes we controlled. Paper bad guy after paper bad guy fell to the blistering onslaught of hot lead streaming from the 1911s. While resting and resetting the range etc., the new plastic gun VS old iron 1911 discussion came up and merits of each platform were discussed without the inevitable web flame war ensuing. It’s kinda nice to actually hang out with guys who are good at shooting whatever is in front of them. I feel this is the real test of a shooter, to be able to pick up and shoot whatever lies on the table or deck and to shoot it well. At first the wannabees will jeer at the old wheel gun design and not even realize their semi auto striker fired plastic gun is almost as old in the design world. I attribute this to short sidedness and lack of a good knowledge base coupled to piss poor training. Shoot a million rounds though any one handgun style and you start to feel like you’re the goods. Well you aren’t, combat will weed out the fools and they will be humbled by the experience. The real operators of the group will turn their very bodies into weapons if pressed and use any weapon at hand to violently fight and win. Threat-Solutions’ Mike being the consummate professional merely picked up the Smith & Wesson R8 Pistol and put 8 rounds of full power .357 Magnum thru two holes that touched. Keep in mind this is cold and he wasn’t even allowed to see or touch the Smith & Wesson R8 prior to the volley. Mike’s comment on it “That’s a good shooter.” This is a whole diatribe in Mike speak and something he never surrenders unless it’s merited. 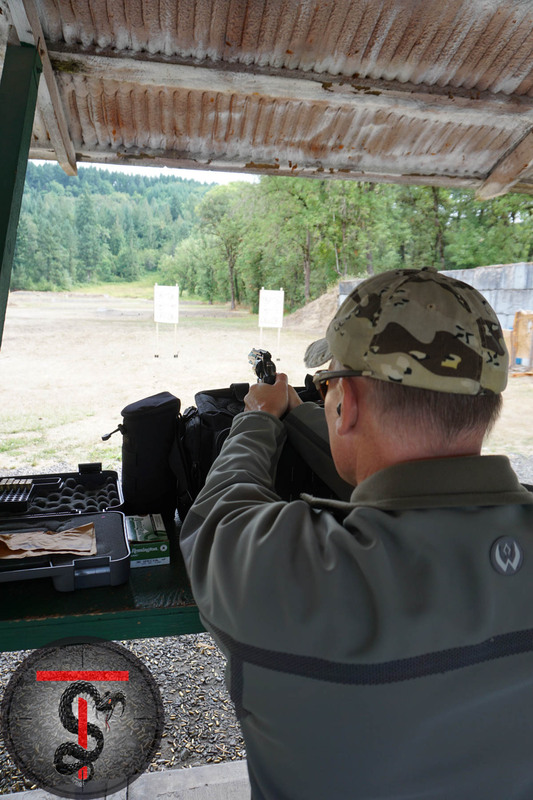 My turn on the Smith & Wesson R8 Pistol was a bit more… let’s say spacious, in the grouping. Don’t kid yourself reader, it was probably better than yours on a very good day. I shot the S&W R8 with both hands, both eyes, at distance and up close and did reloads from moon clips and loosies as well. This gun runs! It runs so well I forgot I was there to do a 1911 write up altogether and abandoned the other guns. The whole review stack online and the guys who sold their S&W R8s to get some low end 1911 made a huge mistake in my viewing. I read the reviews online since our outing and even talked to my buddy who’s known in the online review community “Nut N Fancy” about this handgun, and he loved it too. In fact they all have one on his squad and they love shooting it as much as I did. The whole made for SWAT point guys thing I can take or leave, this M&P Performance Center wonder is a standout and worth it at any price. Would I own it? Does it meet my go to war standard? That would be a yes! I spoke to some SEAL buddies about this gun and found out they love it and own it themselves. That to me says volumes just like Mike from Threat-Solutions said earlier “It’s a good shooter.” The never fail, never quit, never doubt confidence aura on Smith & Wesson’s M&P R8 Pistol makes this gun one of my all time favorites. There is absolutely no doubt in my mind you will shoot this gun better than just about anything else made to date you’ve had a chance to lay your hands on. Is this a tactical gun? You betcha! Is this a cool gun? Even more so! The rails on the top strap and under lug make adding any of the new tech a breeze which makes this a very good choice for home defense or crime fighting alike. One can’t deny the power of the .357 Magnum but you’ll be left wondering where did the recoil go? Sighting is very quick, very very quick with the Performance Center sights and accuracy is better than you can shoot out of the box. I could go on and on about how good the trigger is in double action and single action but you wouldn’t believe it. You probably think I work for Smith & Wesson but I don’t. I spend my time on the water most days or training when I’m not. I’m not a gun expert but Mike from Threat-Solutions is, and the guys at The Gun Room Inc. are too. That’s where I decided to order my very own Smith & Wesson M&P R8 Pistol from. Go talk to them, they will get you what you want even if this legendary gun isn’t your thing. (trust me it is) Want to shoot like Mike? You better talk to Threat Solutions about that and spend less time on social media. I believe in training like you fight, and fighting to win. The S&W M&P R8 will take you to new levels, it drains fast from the water, it doesn’t miss, and it won’t stop if you’re on your back or against the wall. Yes the web armchair commandos will go on and on about this or that wiz bang they read about from their mostly ad mag/blog/website and swear you need something else. These guys aren’t shooters, if they were they wouldn’t have the time to talk all that crap. The re-emergence of the wheel gun or the simple fact that that fixed barrels are more accurate? The Smith & Wesson M&P is a good place to start the next level of your training. 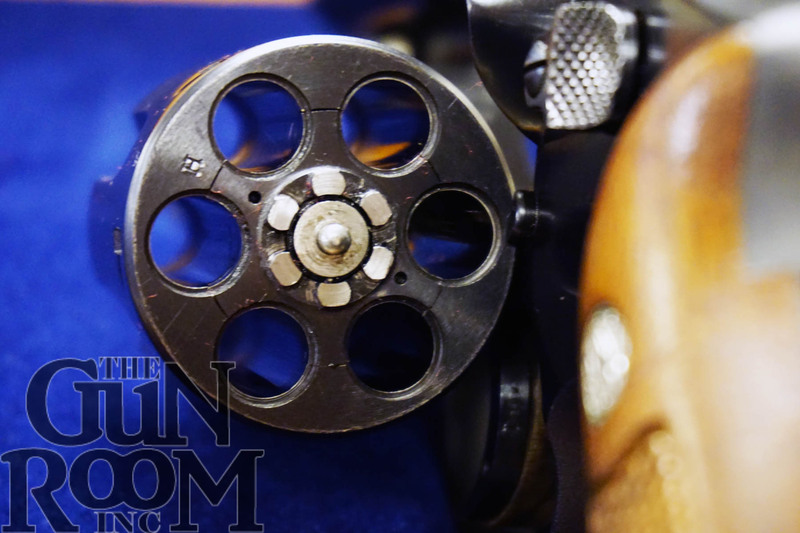 The Gun Room Inc.’s ability to get you that Custom 700 with all the bells and whistles has always been one of our strong points. Today we are looking at a left handed .280 caliber AI Remington North America SS Custom and a 7mm Remington Magnum North American SS Custom. Remington’s Model 700 sets the standard for accuracy with every rifle they make but the Remington Custom Shop 700 North American SS Custom is the stuff of legend. The level of precision these rifles attain is only possible by hand fitting, personal attention, and craftsmanship from the master class. Entirely hand built by the absolute best gunsmiths in the industry the Model 700 North American is crafted with the hunter in mind and delivers absolute durability, reliability and precision accuracy for a lifetime in the field. More Remington Custom Shop Rifles come thru our doors than anywhere else in Portland. If you are looking for a singular rifle made custom for you, look no further, just come in and get started. Give The Gun Room Inc. a call (503)777-3931 or stop in and talk to one of our gun gurus. Cobalt Kinetics, Allegiant Rifleworks, Taya Kyle, The Chris Kyle Frog Foundation and The Gun Room Inc. bring to you The Chris Kyle “Legend” Collection. These rare numbered rifles pay tribute to the Legend, The American Sniper, the man, our country, family and God. You don’t have to be a US Navy Chief Special Warfare Operator like Chris Kyle to appreciate the attention to detail and phenomenal fit and finish of this rifle collection. 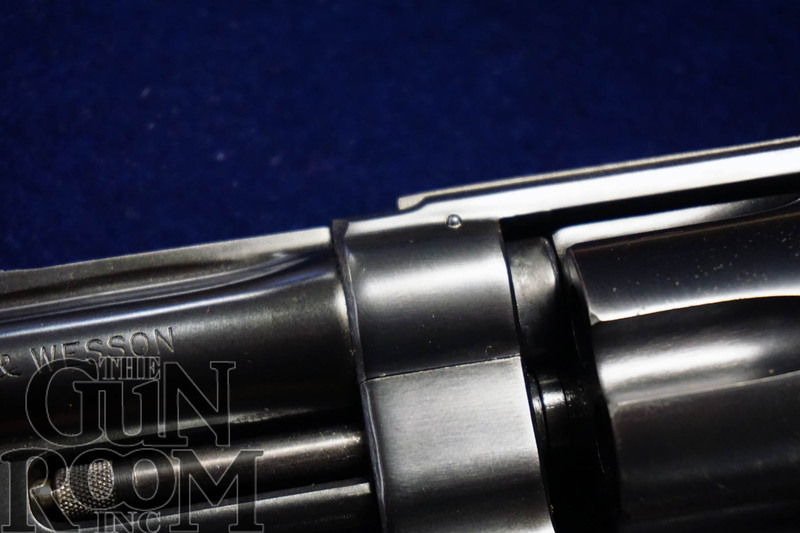 The folks at Cobalt Kinetics take pride in what they do and the painstaking detail of each and every part from the BCG down to muzzle proves it. I served in the Navy, and I knew more than a few frogs in my time. There wasn’t anything close to what this collection encompasses today in any armory anywhere back then. Anyone YOU would be proud to own and shoot these guns even without the striking graphical treatments by Allegiant Rifleworks based on their flawless function alone. Sure, it doesn’t hurt they look really cool. They stand out from the rest of the AR market like a bikini clad redhead in a hijab filled bazaar. Nope, if anything they look cool and beg you to pick them up. Each rifle has it’s own thing going on from the “Chief” to the “300 Blacked Out”, the “Signature” and “Glory”. If you happen to be by Portland Oregon you owe it to yourself to stop in and get a look at these beauties for yourself. The rifles I had for the photos are already sold and I haven’t shown the pictures to anyone yet even. They were sold at Shot Show before anyone knew about them except the people mentioned above. The real point is don’t miss an opportunity because the don’t come by every day. I can still hear the Chiefs yelling at me to get moving “What’s the matter, too much air and opportunity in your way?!”. A lot of what I personally took with me from my military service is with me in daily life and missing an opportunity just isn’t done. The Cobalt Kinetics AR15 is undoubtedly the best of the bunch by a long shot and the Legend Collection takes it up a notch even further. If you are a serious guy or gal who wants one or all of the rifles shown above don’t let the air and opportunity stand in your way. These rifles are small batch and once they are gone they are gone for good. 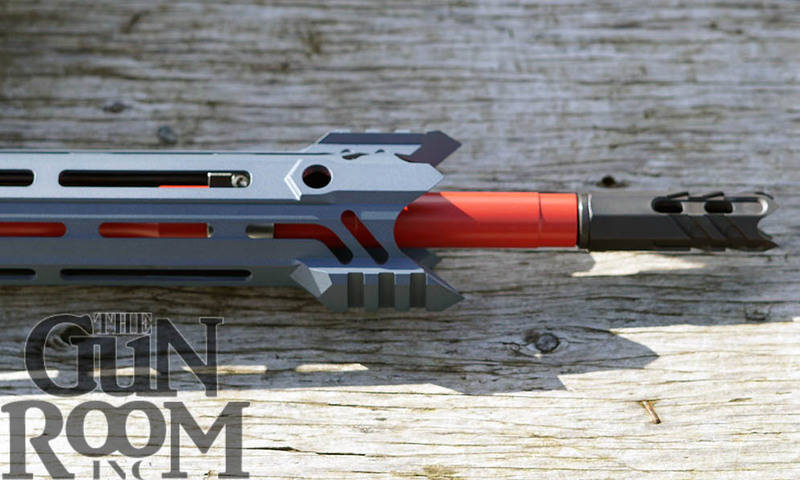 Give The Gun Room Inc. a call (503)777-3931 and get your own “Legend” rifle. We’ve all wondered about the Cobalt Kinetics line of firearms but for many of us it’s hard to justify the price for what seems at first nothing more than another AR-15. Guys like me like what we like and if you’re me that means you were never impressed with the AR-15 as a whole. I’m no one special, and I’m certainly not the last word of gun powder and steel, but I’m also no slouch. I’ve worn a uniform, a lab coat, and a wetsuit, and yes I’ve fired a shot or two in the time I’ve enjoyed being alive. When I met one of the guys from Cobalt Kinetics while on a visit to Portland Oregon’s The Gun Room Inc. I really couldn’t be bothered with another look at yet another attempt at tacticool crap. I must have seemed like a real jerk but he hung in there and to his credit he sold me a rifle as part of The Gun Room Inc.’s stocking order. Not only did I drink the dreaded AR-Aide I drank deep with a Cobalt Kinetics custom “Edge” model in my colors and specs. When it came in I was excited, it was Christmas time so I felt like a very good boy on Santa’s list rewarded as such. I took it home and left it there until last Sunday. I was tagging along with Threat-Solutions on a training session for a father and daughter looking to revive grandpa’s old guns for an upcoming hunt. They were very excited to learn about guns and I was excited just to sit and watch Threat-Solutions give a fantastic beginner level class. Mike suggested that I bring a rifle to shoot and my mind immediately went to my Browning 1886 in 45-70, my favorite rifle of all time and also my most expensive. I’m not sure of where things went wrong but I ended up with my Cobalt Kinetics Edge and several mismatched AR-15 magazines loaded with various 5.56mm and .223 cal ammo. Everything from old steel mags with tarnished brass, to P mags and ballistic tipped screamers. As things were winding down in Threat-Solutions’ class I remembered I stashed my gear under Mike’s truck to keep it out of Oregon’s liquid sky, but the actual Sun was shining now. The first shot I took hit the crude six inch circle I drew on an overly big piece of paper at 125 yards. Patting myself on the back and not the Cobalt Kinetics team, I fired three more shots on an actual target while adjusting the elevation and windage. Satisfied with a center hit I dumped the mag fast enough for the other people at the range to stop and watch. Mag after mag fell to the table while never once taking my eye off the prize utilizing the Cobalt Kinetics patented dual drop buttons instead of the bolt release. I was utterly and completely bored with the whole experience, every one of those rounds made a pattern the size of a quarter. I’m a good shot, but I can’t be that good, can I? Well I’m not, but the Cobalt Kinetics is, out of the box even. Mike was finishing up and came over so I asked him to shoot a few so I could get some pics for my Facebook page. His experience was the same as mine, except he’s a better shot and his was about the size of a dime for a 30 round mag off hand while walking. Boring! Cobalt Kinetics’ Edge does not disappoint, it’s the finest fitting and best shooting AR-15 money will buy today at any price. You won’t build one better no matter how good you think you are or how many missions you were part of. The Cobalt Kinetics Edge shouldn’t even be called an AR-15, it’s so much better that it’s singular in the market. I took the Cobalt Kinetics Edge back to The Gun Room Inc. since I was driving through anyway and gave the old grumpy geezers my first impression after shooting it for the first time. When I said it was boring to shoot they just looked at me not knowing how that could be true. Then I explained what I meant by boring, Cobalt Kinetics made a rifle anyone can shoot. That in it’s self should say it all, anyone can shoot the Cobalt Kinetics Edge. All those decades of practice seem wasted or would have been if Cobalt Kinetics made guns back when I wore a uniform at age 17. I’m told when local vet and all around good guy “Big Tony” overheard Shaun from The Gun Room Inc. talking to Cobalt Kinetics about how boring my experience was he bought one to see if his mileage would vary. It didn’t, Big Tony’s outing was the exact same as mine and that of Mike’s from Threat-Solutions, one small hole. More precisely and let’s emphasize precise here, one smaller than AR-15 sized hole. In full disclosure Cobalt Kinetics didn’t pay me for this post, they probably think I’m a jerk because of the way I treated them, all apologies to Cobalt Kinetics you earned your place at the big table. The Gun Room Inc. didn’t pay me in ammo, money or beef jerky to post this article either, apologies to them as well for treating their vendor so poorly (my bad guys). Obviously there are a lot of us out there who just haven’t ever had the chance to hold, own, or shoot a rifle this good who weren’t royalty of some sort. Cobalt Kinetics has made a rifle anyone can shoot and anyone can own, they have changed the very nature of firearms with the Edge Rifle. I’m not a dealer for Cobalt Kinetics so give the folks at The Gun Room Inc. a call to get one, their number is (503)777-3931. If you want to talk training at any level talk to Mike at Threat-Solutions not me, I’m a jerk know it all. Words don’t accurately describe Milo’s Pick of the week…. Introducing the gargantuan Smith & Wesson 500 Magnum. This gun is terrifying to look at when it’s barrel is pointed at you empty, and when loaded it absolutely puts “the fear” into your very soul. I’m sure there are reviews that have scientific stuff and numbers, this isn’t one of them. The Smith & Wesson 500 is a beast, it’s visceral, it tears at the sky, it’s brick to the head madness just looking at one in real life. This thing is made from a neutron star, it bends space and shatters time when you pull the trigger. “Be careful it’s a magnum.”, hahaha you chuckle inside because you’re so savage, totally not expecting the savagery you’re about to face. When the adrenalin comes over you it’s part of your fight or flight response to danger. Triggered by the atomic bomb flash of the 500’s ICBM sized cartridge or the recoil even your dead relatives felt. You’re simply rendered in awe by the power you hold in your hand. Mountains tremble and shake the deafening sound carries to the very stars for the 500 has belched forth it’s message of fire, brimstone, and furious anger. That such power can be tamed at all is the question you should be asking yourself before shooting the Magnum Opus. The King of pistols shatters all expectations. Finding it’s mark, targets are broken down to their cosmic essence as the freight train sized bullet meets them head on. The Smith & Wesson 500 Magnum changes what cover and concealment are and the advantage goes in it’s direction. This big bad wolf turned all the houses to straw, it huffs and puffs hot lead to boiling massive intensity. Tacticool wannabes need not apply, you will get fed to the lions. The Smith & Wesson 500 Magnum will bring down any monster on the planet if you know how to wield it. Rounds can get beyond tyrannosaurus power if you can handle it. The gun wizards put big soft magic grips on this beast that trick you into loosing it’s spawn of fire and thunder. It’s impossible to anticipate the 500’s trigger nor the insanity of the explosion. It’s too easy to hit the target, it’s a lot of things, but mundane it’s not. If you ever wondered what shooting a whole box of ammo would be like, this is it. If you can find a Smith & Wesson 500 Magnum buy it. Don’t just buy one weight of bullet, buy many. When the giant space robots attack Earth you’ll be well heeled and ready like a stainless steel Doc Holliday.